Every time you give your dog the faintest whiff of attention, their tongue rolls out and begins a sloppy assault on your face. Blerch! If you’ve seen where that tongue goes, it’s not surprising that you’re a little bit apprehensive about the idea of allowing it to give you a face bath. But what does it mean?! 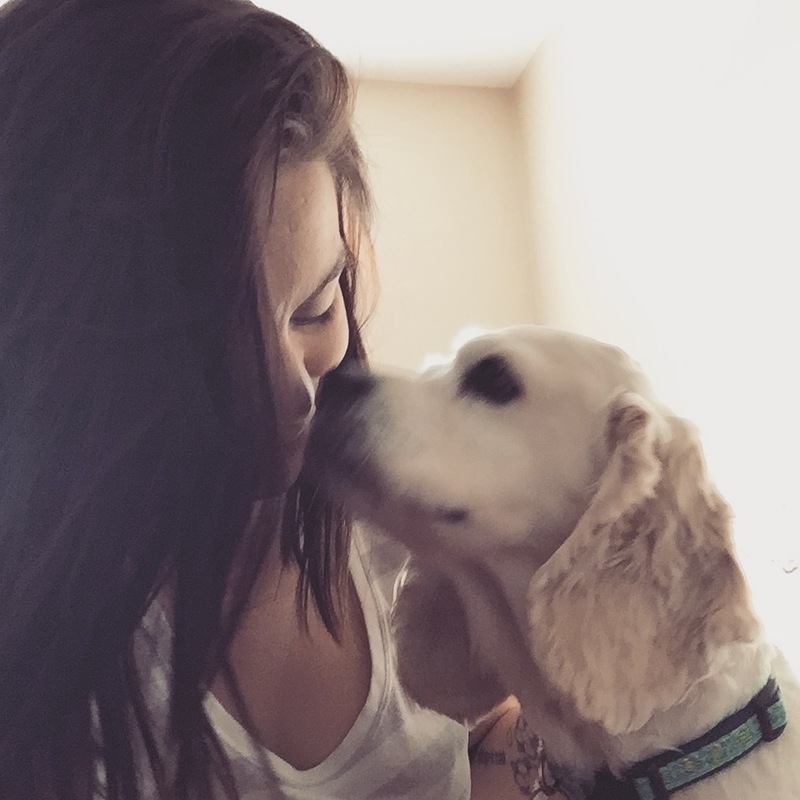 Unless you’re Ramsay Bolton, sloppy kisses from pooches are just a way of saying “Hi! I love you!” When puppies are born, dog moms lick their young to get them to breathe. As the puppies age, their lick their young to clean them. So according to your dog, licking is associated with nice things. When a dog licks, it releases endorphins — the happy hormones! Also, human skin is slightly salty, which tastes nice to dogs. How Do I Stop My Dog From Licking Me? There’s a simple training trick to prevent wet kisses: stop petting your dog when they lick, and walk away. Eventually, they should figure out to stop the kisses in order to get attention. And then, you have the outlier dogs.— Although they’re cuddly and adorable, they’re as a dumb as a bag of pencils. You can tell them “NO!” and “OFF!” until you’re blue in the face, but they’ll just grin a toothy smile and get right back to incessant licking. If you’ve tried everything else in the book, give this apple cider vinegar recipe a go. First, do a small patch test on your arm. Apply apple cider vinegar to a cotton swab, and wipe it over a patch of skin. Then, take a pinch of cayenne pepper and add it to that area. Wait 24 hours. If your skin is okay, and you have no open sores/wounds/pimples on your face — continue. Apple cider vinegar and cayenne pepper are actually great for your skin. Although both are safe for dogs, pooches will loathe and detest the smell/taste of it. In a small bowl, pour in a little bit of apple cider vinegar, a pinch of cayenne, and a splash of water. Then use a cotton swab to apply it to your face. It may be a bit pungent, but so is a mud mask. Pet your dog, wait for the licks, and watch them recoil in disgust. You may need to repeat the process a few times (preferably when you’re alone and don’t have anywhere to go), but it should cure your dog of wanting to lick you silly. In any case, definitely schedule a visit to the vet — especially if your dog is licking their paws a lot. Try using coconut oil for dogs with a case of itchy paws. Excessive licking can be onset by stress and anxiety. Visit the vet first to make sure that the licking isn’t symptomatic of a larger issue. If your dog is just a lickity-split, try sprinkling cayenne on the surfaces that they lick the most. Make sure that you thoroughly sweep up any leftover food crumbs from surfaces and floors, as they might be vacuuming up after you! Have you discovered a clever way to get your dog to lay off the sloppy kisses? Share your advice in the comments!